LEGOLAND California is one of San Diego’s most popular theme parks, and provides families the unique opportunity to experience all things LEGO – in one place! Located in Carlsbad, California the entire park is themed around the colorful LEGO bricks. Each section of the park (there are 9 different areas) comes with its own theme – from Ninjago World to MiniLand USA, which features LEGO-sized reproductions of certain areas of the US, in addition to a waterpark, aquarium, and its very own LEGOLAND Hotel. Here are ten reasons to visit LEGOLAND California this year! 1. It’s more than your typical amusement park. LEGOLAND California has more to explore than its rides – including a Waterpark, the Sea Life Aquarium, and the official LEGOLAND Hotel. The Waterpark: The LEGOLAND Waterpark is impressive, especially with the recent addition of the Chima section which includes more slides and the Lion Temple Wave Pool. Head to the park to experience Riptide Racers, the Wipeout Lagoon, Build-a-Raft River, Duplo Splash Safari, Joker Soaker, Pirate Reef, Orange Rush, Soak n Sail, and the Splash Zoo; each one offers a different set of rides, splash zones, and epic water adventures for you and the little ones! You can upgrade your LEGOLAND ticket to include the Waterpark for $30. Sea Life Aquarium: The aquarium at LEGOLAND is an interactive guide to the life of the sea, combining active hands-on learning with fascinating educational talks and up-close encounters with sea creatures, including sharks, octopi and rays. The newest exhibit, Sea at Night, allows you to stroll in a gentle surf under a starry sky – during the day! Walk, jump and splash in a simulated bioluminescent tide with the little ones. Any LEGOLAND ticket can be upgraded to include SEA LIFE Aquarium admission for $25. 2. You can get discounted tickets any time of year. The Go San Diego Card, is a multi-attraction pass that gets you big discounts at the top attractions in San Diego. With the all-inclusive pass, you’ll have access to more than 40 spots in San Diego – and that includes LEGOLAND – at discounted prices! 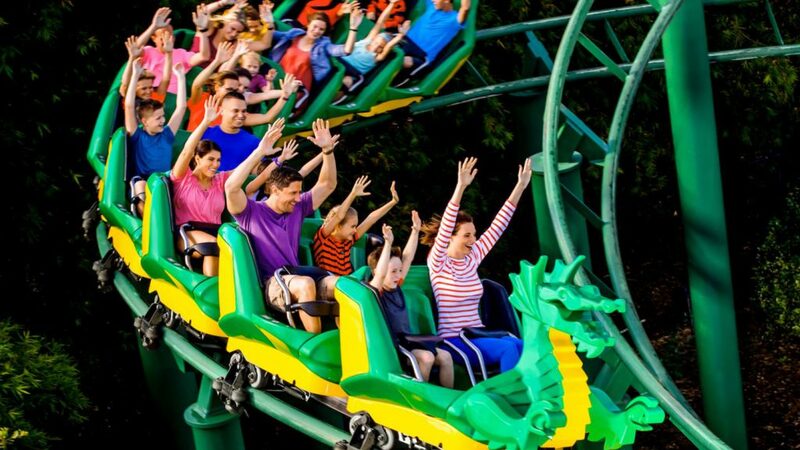 1-Day admission tickets to LEGOLAND California start at $89.99. 3. The LEGOLAND Hotel (and Castle) is truly magical. The LEGOLAND Hotel recently expanded to include a brand-new LEGOLAND Castle, which offers a totally different (and awesome) overnight experience. The original hotel boasts themed rooms, each one completely unique – choose from Pirate, Kingdom, Adventure, LEGO Ninjago, or LEGO Friends. There is nightly children’s entertainment, and a free breakfast buffet every morning of your stay. The Hotel is located right at the entrance to LEGOLAND, so when you wake up the park is quite literally at your front door. The LEGOLAND Castle Hotel is a new castle-themed wonderland. The hotel features 250 LEGO Castle themed rooms with your choice of Knights & Dragons, Royal Princess, or Magic Wizard, plus a new themed restaurant called Dragon’s Den for all your dining needs. There is a special kid’s area that features LEGO building tables and scavenger hunts daily. There is also a pool area, entertainment courtyard, and playful surprises around every corner; every part of the hotel is interactive, and your little ones will get a kick out of exploring every nook and cranny! 4. Kids go for free all year long in 2019. You heard that right! This year, LEGOLAND California turns 20 years old, and in honor of such an epic occasion, kids 12 and under can enter the park completely for free. If you have little ones, we can’t possibly think of a better reason to check the park out this year! 5. 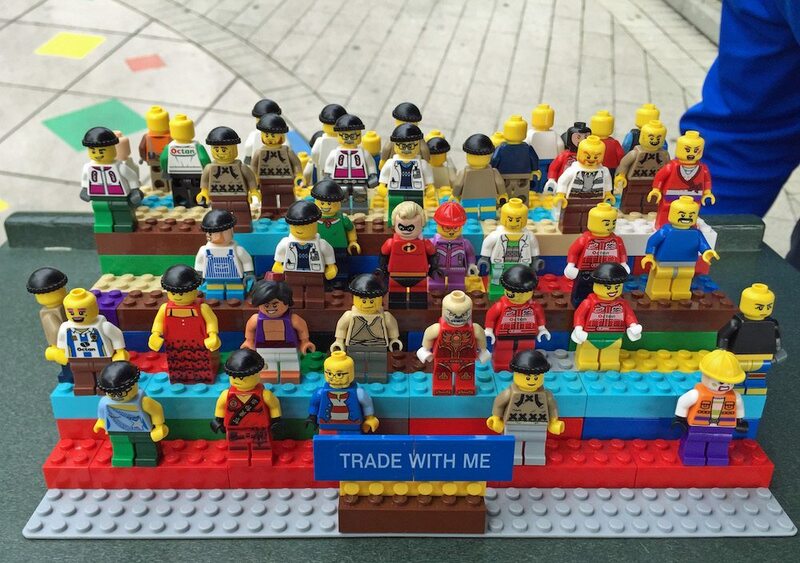 Kids can bring minifigures to trade at the park. Have your kids bring their old LEGO minifigures to the park (including all the parts and accessories), and they can trade them for new ones right at the Park! Every LEGOLAND employee – they’re called Model Citizens – has a name badge with minifigures fixed onto it. If your little one wants one of the Model Citizen’s minifigures, he or she will gladly trade with them. You’ll also find trading posts throughout the park that offer tons of of mini-men to trade for, and if your child doesn’t have a minifigure for trading, there are plenty of shops throughout the Park where you can pick one up. 6. The park is fun for all ages – even younger kids. Unlike many theme parks in California, there are a ton of rides and attractions with no height or age restrictions. Fairy Tale Brook and Coast Cruise are great for babies to enjoy, and there are baby-friendly splash pad areas in Pirate Shores and Heartlake City. Toddlers will love the Coastersaurus, Duplo Play Town, and Mia’s Riding Camp, which is a cute carousel. Preschoolers will get a kick out of the Royal Joust, which takes little ones on a LEGO horse ride through the “countryside.” Junior Driving School is a can’t-miss attraction for kids 3-5, too. Bonus: there are plenty of areas in line for your younger ones to stay entertained and play with LEGO blocks while you stand in line – just scoop up the kiddos before you get on the ride! 7. The whole family will love MiniLand USA. You’ve likely seen photos of it online, but MiniLand USA is one of LEGOLAND’s most fun attractions. Built with a whopping 32,496,352 LEGO bricks, the area features real-life attractions and famous spots throughout the U.S. See the Golden Gate Bridge in San Francisco, the capital building in Washington D.C., Mardi Gras in New Orleans, Grand Central Station in New York, and the strip in Las Vegas all in one day! 8. LEGO fanatics will really get a kick out of the LEGO factory tour. If you’ve ever wondered how a LEGO brick is made, this self-guided tour will show you from start to finish. The tour features different displays of machines that are used to make LEGO bricks, and you even have an option to get a special item engraved by someone at the end. This is a fun stop that offers a bit of a break in between the other rides and attractions. 9. The park makes it easy to skip long wait lines. LEGOLAND offers a Reserve-n-Ride system, which allows you to hold a spot in line for their most popular rides without physically having to be in the actual line. To set up a Reserve-n-Ride, visit their website or head to the kiosk just inside the gates. When you purchase the pass, you’ll get to choose between reducing wait times by 25%, 50%, or 95% for $35, $55, and $100 per person, respectively. When you pick up your pass you’ll receive a device that allows you to make a reservation for one ride at a time, from anywhere in the park. When it’s your time ride the device beeps to let you know, and you’re on your way! 10. The LEGOLAND app is a great way to streamline your experience. Download the LEGOLAND app before you arrive for access to an interactive map, up-to-date ride wait times, height restrictions for rides, directions, and even a car finder to help you keep track of where you’ve parked. It’s a great way to important information right at your fingertips, which can come in handy for a long day of exploring.